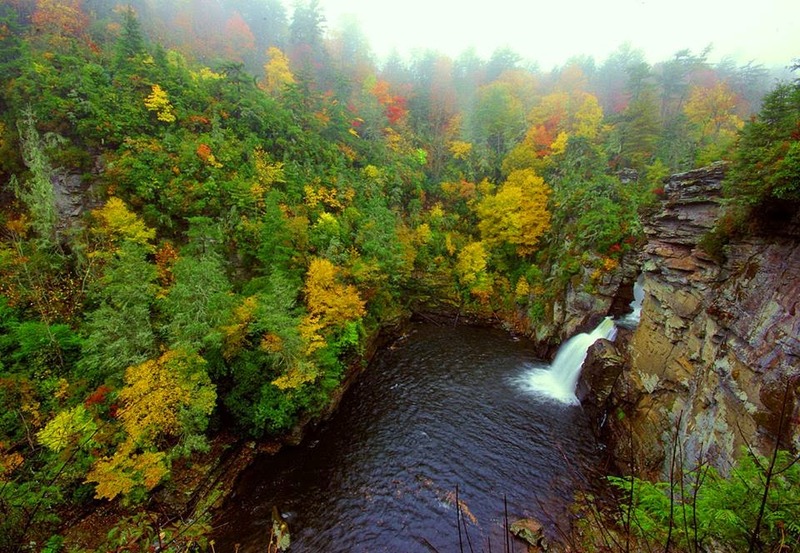 Into week 3 of our fall color reports we go, on this rainy Tuesday! While not very common in October around these parts, the rain is actually doing a bit of good “clean up” duty, sending some of the early, dull-colored leaves to the ground and making way for the stars of the fall color show that are just starting to shine. This week, the maples have begun changing at our elevation (2,300 feet), along with sassafras, hickory, birch and beech trees. Golden yellow appears to win the color war this week thanks to already-in-progress color changers from previous weeks, but orange and red aren’t far behind. Right now, the ridges look very velvety, with lots of light orange and yellow. Many maples and oaks are still holding out on us, though, so we can’t wait to see what the next two weeks brings! We like to say that fall is like a slow-motion waterfall down the mountains each year – we are fortunate to have a gradual color change thanks to so many different tree types and varying elevations – so you can see color in different areas over a 6-8 week period. 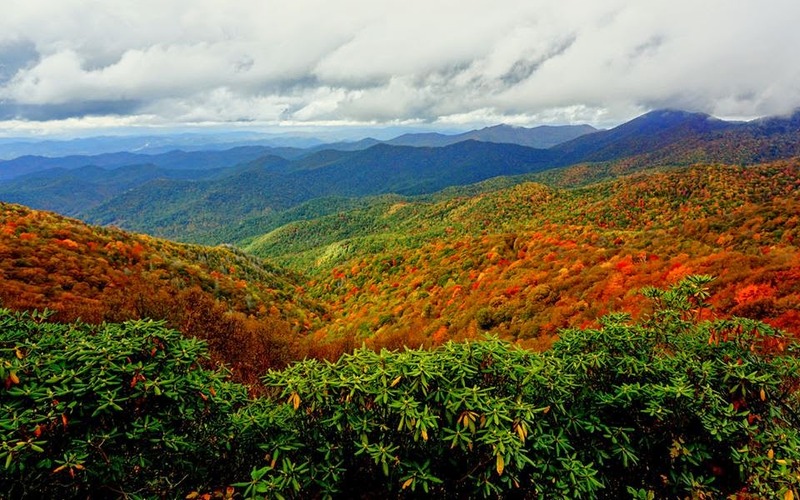 Craggy Gardens – located on the Blue Ridge Parkway north of Asheville, the Craggies are between Asheville and Mt. Mitchell State Park and overlooks and hiking trails offer expansive views like the one above of elevations below 4,000 feet. Crabtree Falls – when we do get rain, the waterfalls hikes are great options. Just remember to be careful on the trails and at the waterfalls themselves that will have an extra amount of water. Crabtree Falls is accessed via the Crabtree Falls Campground at Milepost 339.5 on the Blue Ridge Parkway. Check our recent post on waterfall hikes for more details on this waterfall and others. Graybeard Trail and Lookout Mountain Trail in Montreat – just five minutes north of Black Mountain is the little community of Montreat, known for being where Billy Graham has his home, but also known for an outstanding set of well-maintained hiking trails along the Black Mountains. 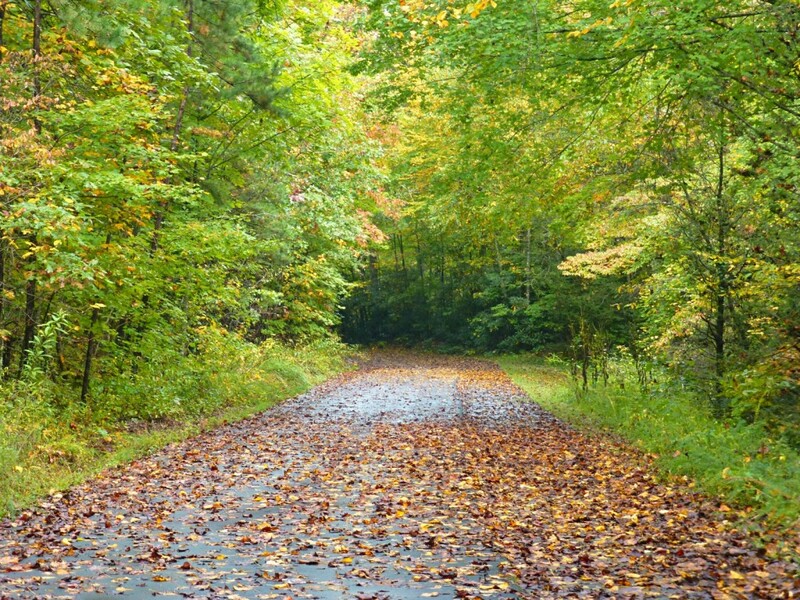 Two of those hikes, Graybeard and Lookout Mountain, allow for great fall foliage viewing. We have trail maps for all of the above places, so be sure to check with us when you stay at the Inn on Mill Creek B&B. And stay tuned for next week’s fall color report…we expect color to really start speeding up at our elevation over the next 7-10 days as we approach peak color. This entry was posted in Uncategorized and tagged Autumn / fall foliage, Black Mountain, hiking, Montreat by Inn on Mill Creek. Bookmark the permalink.